A wonderfully dark and brutal heist novel that uses characters of complexity to attempt the impossible. I had purchased this book not long after finishing the Grisha series by the same author for two reasons: the villain in the Grisha series was done masterfully and most of my fellow YA readers had been recommending it for months. I have to say that they were right when they said that this book was the best book of 2015. 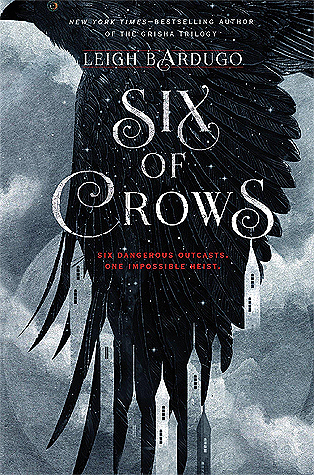 The cast of Six of Crows is phenomenal to say the least. Every character that Leigh Bardugo has created in this new story is extremely complex and the brutal nature of the world that these characters inhabit has made sure that there is no simple line between good and bad. Instead the characters live by their own personal code of survival, and there is no better example of this than the character Kaz Brekker, AKA Dirtyhands. Kaz is a masterful strategist, pick pocket prodigy, and troubled kid. Although he is in many ways the protagonist of the story, he seems to share that spotlight with Inej at times, he has moments where he could also be seen as a villain. The trick to this is that the audience falls in love so quickly with his character that every villainous act that Kaz commits is justified in the eyes of the audience as they fervently hope for his redemption. Of course Kaz is not the only magnificent character in the book. In fact every character in the crew of six is strong enough to stand on their own, but together this crew is one for the ages. 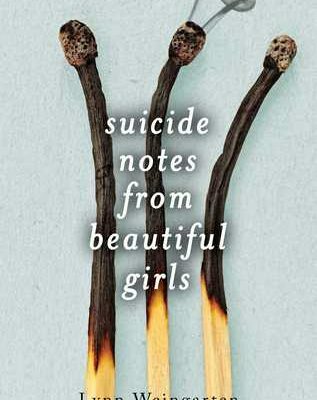 Another aspect of this book that I appreciated was the avoidance of love triangles. While Bardugo involves romance, or at least as much romance as a world like this can allow, amongst the characters, there are very well defined pairs and no reliance on “love shapes”. 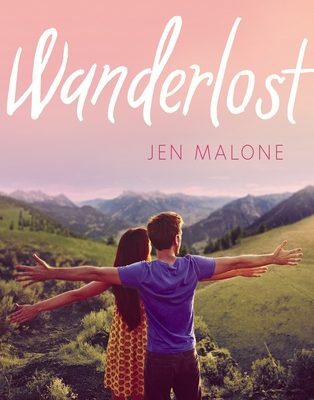 Currently it is difficult to find a young adult book that does not use “love shapes” to highlight how much a person can change while growing up, so it was refreshing to find a book that avoided this tactic. The clearly defined couples also made it easier to become emotionally invested in the success of the romances laid out for the audience. Of course this is a good thing for a reader as long as the romance continues, but heartbreaking if the romance has to end. 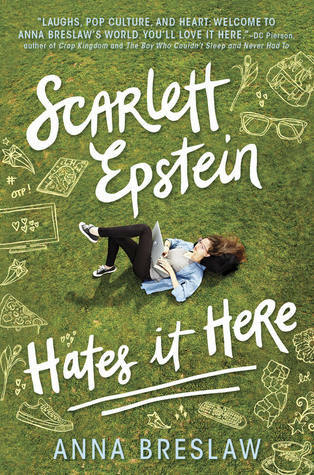 After reading this book I went on Goodreads to see what others had to say and found that the main issue people had with this book is the age of the characters and thus the classification of this being a young adult novel. I would say that the only problem I have with the ages of the characters is that they are all so similar and thus there is not one “grown up” or even “new adult” amongst their crew. Due to the world that Bardugo built I find it extremely possible that by age 17 a boy can become a lieutenant in a gang and run a portion of the Barrel. In this type of the world there are only three possibilities for a 17 year old: death, a grunt in a gang or the military, or a ruthless and higher ranking gang member, like Kaz. In a world where childhood has essentially been thrown out, a person must learn quickly how to survive and, if they want a life that would offer some form of comfort, they must also become ruthless in this dog eat dog world. Thus I find the plot and characters ages believable. I would have liked to see one crew member in their mid twenties to simply supply an older perspective, but I would not have wanted that character to be an option as the leader. The mantle of leader can only fit one character’s shoulders in this book: Kaz Brekker. Besides the characters I found the plot was set a very well done pace, to the point where I never found myself bored and even the slower scenes kept my attention easily. I also enjoyed hearing from the perspective of all the crew members. “Get us out of here,” Kaz shouted as soon as he limped aboard the schooner with Inej in his arms. The sails were already trimmed, and they were on their way out of the harbor in moments, though not nearly as fast as he would have liked. He knew he should have tried to secure some squallers for the journey, but they were hell to come by. There was chaos on deck, people shouting and trying to get the schooner into the open sea as quickly as possible. Specht saluted-then seemed to catch himself. He wasn’t in the navy any longer, and Kaz wasn’t a commanding officer. The pain in Kaz’s leg was terrible, the worst it had been since he’d first broken it falling off the roof of a bank near the Geldstraat. It was possible he’d fractured the bone again. Inej’s weight wasn’t helping, but when Jesper stepped into his path to offer help, Kaz shoved past him. “Get out of my way,” Kaz said, and plunged past him down the ramp that led belowdecks. He found Nina tending to Wylan in a narrow cabin, her hands drifting over his arm, knitting the flesh of the bullet wound together. It was barely a graze. “Move,” Kaz demanded, and Wylan practically leapt from the table. The cramped cabin was lit by several bright lanterns and a stash of clean bandages had been laid out on the shelf beside a bottle of camphor. Gently, Kaz placed Inej on the table that had been bolted to the deck. “That’s a lot of blood,” Nina said on low breath. Kaz stepped back into the passageway. Inej lay perfectly still on the table, her luminous brown skin dull in the swaying lamplight. He was alive because of Inej. They all were. They’d managed to fight their way out of a corner, but only because she’d prevented them from being surrounded. Kaz knew death. He could feel its presence on the ship now, looming over them, ready to take his Wraith. He was covered in her blood. “Unless you can be useful, go away,” Nina said without looking up at him. “You’re making me nervous.” He hesitated, then stomped back the way he’d come, stopping to purloin a clean shirt from another cabin. He shouldn’t be this shaken up by a dock brawl, even a shoot-out, but he was. Something inside him felt frayed and raw. It was the same feeling he’d had as a boy, in those first desperate days after Jordie’s death. Say you’re sorry. That was the last thing Inej had said to him. What had she wanted him to apologize for? There were so many possibilities. A thousand crimes. A thousand stupid jibes. On deck, he took a deep breath of sea air, watching the harbor and Ketterdam fade from view on the horizon. “What the hell just happened?” Jesper asked. He was leaning against the railing, his rifle beside him. His hair was mussed, his pupils dilated. He seemed almost drunk, or like he’d just rolled out of someone’s bed. He always had that look after a fight. Helvar was bent over the railing, vomiting. Not a sailor, apparently. At some point they’d need to shackle those legs again. “We were ambushed,” Wylan said from his perch on the forecastle deck. He had his sleeve pushed up and was running his fingers over the red spot where Nina had seen to his wound. “Geels doesn’t have the brains or the resources to bite back this fast or this hard alone,” Kaz said. “Let’s ask.” Kaz limped over to where Rotty had stashed Oomen. I stuck your Wraith. Oomen had giggled when Kaz had spotted him curled up on the ground. I stuck her good. Kaz had glanced at the blood on Oomen’s thigh and said, Looks like she got you, too. But her aim had been off or Oomen wouldn’t have been talking to anyone. He’s knocked the enforcer out and had Rotty retrieve him while he went to find Inej. No Helvar and Jesper dragged Oomen over to the rail, his hands bound. With one huge hand, Helvar hauled Oomen to his feet. Oomen grinned, his thatch of course white hair flat against his forehead. “Why don’t you tell me what brought so many Black Tips out in force tonight?” Kaz said. Oomen spat in his face. Kaz took a handkerchief from his coat pocket and carefully wiped his face clean. He thought of Inej lying still on the table, her slight weight in his arms. “Hold him,” he told Jesper and the Fjerdan. Kaz flicked his coat sleeve, and an oyster shucking knife appeared in his hand. At any given time he had at least two knives stashed somewhere in his clothes. He didn’t even count this one, really- a tidy, wicked little blade. He made a neat slash across Oomen’s eye -from brow to cheekbone- and before Oomen could draw breath to cry out, he made a second cut in the opposite direction, a nearly perfect X. Now Oomen was screaming. Kaz wiped the knife clean, returned it to his sleeve, and drove his gloved fingers into Oomen’s eye socket. He shrieked and twitched as Kaz yanked out his eyeball, its base trailing a bloody root. Blood gushed over his face. Kaz heard Wylan retching. He tossed the eyeball overboard and jammed his spit-soaked handkerchief where Oomen’s eye had been. Then he grabbed Oomen’s jaw, his gloves leaving red smears on the enforcer’s chin. His actions were smooth, precise, as if he were dealing cards at the Crow Club or picking an easy lock, but his rage felt hot and mad and unfamiliar. Something within him had torn loose. Oomen wavered, sucking on his lips, snot running from his nose. Even through his own shock, Kaz registered the effect of the name on Jesper and Wylan. Helvar didn’t know enough to be intimidated. “Is Rollins leading the crew himself?” Kaz asked Oomen. “Of course,” said Kaz. “Right this way.” He took Oomen by the lapels and hoisted him off his feet, bracing his body against the railing. Despite Oomen’s knobby build, he was deceptively strong-farm strong like Jesper. He’d probably grown up in the fields. Without another word, he tipped Oomen into the sea. “No!” Wylan shouted, leaning over the railing, his face pale, stunned eyes tracking Oomen in the waves. The enforcer’s pleas were still audible as his maimed face faded from view. “Do you want to go over, too?” asked Kaz. Wylan pressed his lips into a thin line. Kaz couldn’t tell if the kid was frightened or furious, and he didn’t much care. Helvar stood silent sentinel, observing it all, looking seasick green beneath his blond beard. “Man with a knife, remember?” he said over his shoulder. “Man with a gun!” Jesper called after him. Kaz replied with a time-saving gesture that relied heavily on his middle finger and disappeared belowdecks. He wanted a hot bath and a bottle of brandy, but he’d settle for being alone and free of the stink of blood for a while.